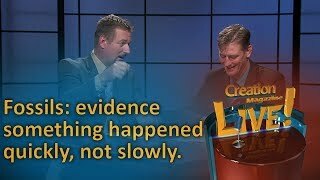 As a Christian university student, the lack of evidence for insect-flight evolution contributed to my rejection of evolution, in favour of biblical creation. I was therefore recently intrigued to read that the latest research on this topic is causing evolutionists to ‘rewrite the rules’ of evolution. So, these exquisitely complex structures we call wings (not to mention the associated muscles, ligaments and nervous control systems) are now said to have evolved, devolved and ‘re-evolved’ several times. Moreover, these ups and downs in the evolution of insect flight allegedly spanned 300 million years, with periods of winglessness lasting up to 100 million years. No wonder that this ‘re-evolution’ in evolutionary thinking is being described as a ‘revolution’!5 Genetic information for wings, no longer serving any selective purpose, should be lost and/or should degenerate through disuse by virtue of mutations.6 Aware of this, the authors speculate that the instructions for wings were somehow linked to those for legs, so they could be switched on again later. Shoe-horned by their unquestioning belief in evolution, they fail to question whether these non-functioning genes could really have existed for so long! Mutations are rare genetic mistakes that may occur when cells divide or when DNA is damaged by something harmful in the environment, such as radiation or toxic chemicals. Return to text. This principle was first formulated by Belgian biologist Louis Dollo and thus called ‘Dollo’s Law’. See: Dollo’s Principle: Irreversability [sic] of evolution, in Milner, R. (Ed. ), The encyclopedia of evolution, Facts on File, Oxford, p. 143, 1990. Return to text. Whiting, M.F., Bradler, S. and Maxwell, T., Loss and recovery of wings in stick insects, Nature 421: 264–267, 2003. Return to text. Approximately 60% of living species of stick insects lack wings. Return to text. One commentator quotes the lead author of the Nature article as follows: ‘I remember sitting down with entomologists [insect experts] and hearing them say “impossible, impossible, impossible”? 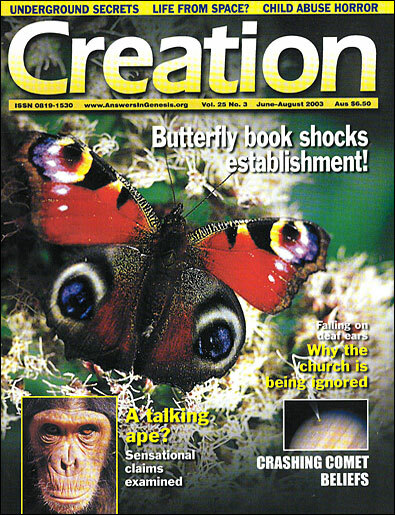 … [but] re-evolution is probably more common than we thought.’ See Jones, N., Stick insect forces evolutionary rethink, newscientist.com, 16 January 2003. Return to text. As there would be no selection against mutations in unused genes (for wings), mutations would accumulate in these genes so that they would become completely scrambled and no longer able to specify how to make wings. With such a long period proposed (100 million years), this would be inevitable. Return to text. CMI has repeatedly pointed this out—see, for example: Wieland, C., Beetle bloopers, Creation 19(3):30, 1997; Wieland C., Muddy waters, Creation 23(3):26–29, 2001. See also the fascinating video: From a Frog to a Prince. Return to text.